FALLOUT: NEW VEGAS will be Huge, Stats Reveal. 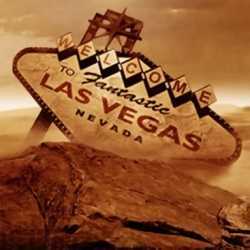 Fallout: New Vegas which is the upcoming RPG in the fallout Series is going to be huge. A Blog post sent via PR earlier today revealed that the game will offer vast room for exploration and free roam for example here are over 200 primary locations in the game which you have to discover and if that’s not much than check this out there are about another 200 secondary locations too coupled with 70 side quests and 90 free roam quests which are much larger figures than Fallout 3 itself. Plus the different factions to be introduced in the game have also been revealed which include the New California Republic, Caesar’s Legion, and Mr. House which are scattered all around he map of New Vegas and the Mojave Wasteland. A lonely shack, slowly rusting in the dry heat of the Nevada sun. But what oddities are contained within? Traps? A crazed Prospector? Moonshine? The guide knows all…. Sometimes you need to take a moment from your massacring of the Viper Gunslingers, and gaze out across the arid plains where sharecropper farmers are eking out an existence using a mixture of chutzpah and NCR-owned water. Or, go swimming in Lake Mead, and drink as much radiation-free H2O as you can… before you’re set upon by savage Lakelurks. Where the Capital Wasteland was a pock-marked mess of radioactive hot-spots and shacks containing madmen named Dave, the Mojave Wasteland has much more of its natural environment intact. New Vegas contains just as many shack-dwelling madmen. Perhaps the most deranged is known as No-Bark Noonan. He lives with his shotgun traps and showroom dummy friends. Mapping the Mojave for the strategy guide was no easy task. While it didn’t lay me out in a fit of conniptions like linking the DC Metro Underground areas together, the number of locations that the guide covers (in meticulous detail I may add, which includes every single type of collectible you’ll want to find, and every Crafting location, Healer, Trader, and Caravan Player) is still immense. New Vegas has a massive game world featuring well over 200 primary locations, and that’s not including around the same number of secondary locations not on your Pip-Boy’s map (which the guide tags). Basically, if there’s ammo, something to tempt you, an item of interest close by, or if there’s an Abomination prowling nearby, the guide lets you know. From threat levels to lists of every character that inhabits a location, the tour of the Mojave Wasteland is exhaustive. Occasionally it’s okay to stop trying to complete every one of the over 70 side quests, and 90 free quests and sit a spell to marvel at the sunsets and check out the gleaming spire of The Strip. But what kinds of locations are available to the sight-seeing Courier? Well, some personal favorites include The Devil’s Throat; a giant rock depression filled with Evolved Centaurs, radioactive barrels, and heavy Energy Weapons. There are stretches of lonely highway to trek down passing savaged caravans with Brahmin corpses stinking in the mid-day sun. There’s a whole mountain wilderness where Super Mutants are the friendliest creatures you’ll face, and hidden pathways to find locations you previously thought inaccessible. There are mines, shacks, ravines, mountains, caves, sweeping plains, dry lakes, rocky promontories, and wild canyons where the thrill of traversing the rugged landscape changes to fear as your hunting rifle jams just before a Legendary Fire Gecko spots you. And that’s before you enter the outskirts of New Vegas itself. Finding out which locations are safe to explore and which are deathtraps filled with Deathclaws is only a glimpse of what the strategy guide offers. Expect a full, complete, and helpful tour of every nook, cranny, and secret safehouse there is to find. The game will be out on the PS3, Xbox 360 and PC on October 19th in the US and October 22nd in the EU.